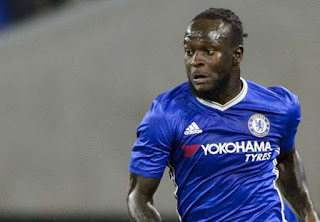 Victor Moses, Super Eagles player and Chelsea wing-back has revealed his greatest achievement playing in the English Premier League. The Chelsea wing-back said his greatest achievement was winning the Premier League with Chelsea last season. He told Chelsea official website, “Winning the league is the most important one. “It is not easy to win the Premier League and doing that this year is a massive achievement for me, for the lads, for every single one of us at the club and I was very delighted. “Marcos is banging them in, I missed a few games but that is not an excuse and we have still got a lot of games to go this season, and I will try to hopefully catch Marcos up.